A perfect example of contrasting fortunes. If there is one thing that has become increasingly clear over the last few years, it's that success down in NXT doesn't necessarily equate to success on the WWE's main roster. In recent years, we have seen various superstars who found great success in NXT arrive on the main roster, only to be let down by poor booking and quickly fade into obscurity. It's as a result of this that fans are trepidatious about the recent call ups of Tommaso Ciampa, Johnny Gargano, Ricochet, and Aleister Black. All four of these men have been an integral part of making NXT the WWE's must-watch brand over the past 12 months and all four of them have lifted gold for the promotion, with Tommaso Ciampa currently holding the NXT Championship. Aleister Black is another former NXT Champion who has now made his way to the main roster, and fans have high expectations for the charismatic and unconventional Dutch-born superstar. Does winning the top prize in NXT necessarily guarantee even a modicum of success on the main roster though? 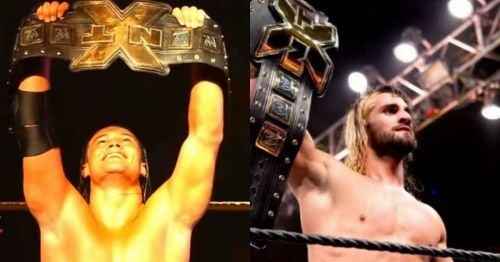 Let's take a look at how the other 12 former NXT Champions have fared once they have made the big step up from Full Sail. Unsurprisingly, Bo Dallas slides in right at the very bottom of this list. Looking at Dallas now, as he runs around the ring with Curtis Axel shouting 'B-Team, B-Team, go! go! go!' it's hard to imagine that, at one point, large parts of the WWE Universe thought he could be a future WWE Champion. Dallas is the epitome of an act that failed to resonate with the bigger WWE Universe after succeeding down in Full Sail. Instead of coming across as the smug and condescending heel that he did in NXT, Dallas' 'Bo-Lieve' gimmick just made him look goofy on the main roster, and it wasn't long before he was being jobbed out on a weekly basis. WWE Rumors: Two exciting Superstars to debut on main roster?